Editor’s Note: I’ve been receiving quite a few more than usual phone calls from out-of-starters regarding Kansas City investment property. There is always a little confusion as to exactly what is, or more-rather, where is Kansas City. So I thought I would reprint this from another blog I work on occasionally. Though I have updated and added a few items. Where are the Chiefs and Royals? Chris, I was hoping that you were going to talk about real estate in KC or even that little town in Kansas you call home. No such luck. All you want to do is add to the congestion in the sky. Is that airport you are pushing in Kansas? I heard that Kansas City, Missouri didn’t even have an airport. They use one in the next state over. Is that true? – It’s a great place to live but I wouldn’t want to vacation there. – They come to Kansas City kicking and screaming and the leave kicking and screaming. 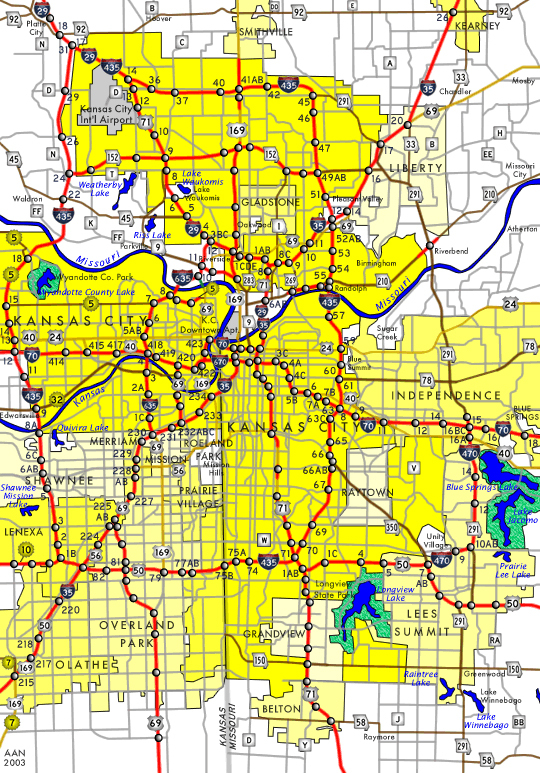 As you can see from the map (click on map for larger version) the greater Kansas City area is split in two by a state line. On the southern part of the map you can see it’s nothing more than a straight line, or more accurately, State Line Rd that divides Kansas City, Missouri from it’s Kansas suburbs of Mission, Prairie Village, Leawood and others. (Much like Western and Eastern and Southern Avenues in Washington, DC.) Literally, on one side of the street you are in Missouri, the other side Kansas. To the north and then west you can see that it is the Missouri river that divides Kansas from Missouri. As you will see if you look carefully, the Kansas City airport is actually north of Kansas, not east. Those are the facts…this is the truth. The facts are that Kansas and Missouri are divided by nothing more than a two lane street or a river no wider than a 100 yards. The truth of the matter, however, is that the two states couldn’t be more different. Ask anyone from the area. Missouri or Kansas. They’ll all tell you they are from Kansas City. But at home they are quick to make a distinction between the two states. And what makes it great is that both sides of the state line knows theirs is the best! Creates quite a rivalry to this day. College basketball is full of rivalries. Duke v Carolina. Georgetown v Syracuse. UCLA v USC. But really, Kansas v Missouri is an actual rivalry. You see, what other rivalry had folks that shot at each other?!?! From the very beginning the states were different politically. Missouri was pro slavery. Kansas a Free State. Many a raid was conducted across the border from both states. The most famous being Quantrill’s raid on Lawrence where the Missourians burned Lawrence, future home of the University of Kansas. Missouri tends to follow more with the Democratic Party during the elections. Kansas sides with the Republicans. Kansas City…on the Missouri side has the amenities big cities want and need: Stadiums, pro teams, art museums, galleries, urban lifestyle. Kansas is more suburban. Allowed to grow wealthy because it’s residents don’t have to support all that infrastructure. Did you catch that last sentence? KCMO doesn’t like the Kansas cities because they don’t feel we pay enough in taxes to help them support themselves. Kansans answer if we wanted to pay for those things we’d live in KCMO. And besides, the State of Missouri and the city of Kansas City, MO impose an employment tax on those that cross the border. So we are paying for it. Now, this is all oversimplified but basically on target. Kansans stay on the Kansas side when deciding where to live for themselves. Missourians do the same. Now as far as real estate investing is concerned I would (and do) invest on either side of the state line because I go where the numbers make sense. And yes, there is a Kansas City, Kansas as well. (Look at the map.) But in general when a person says he’s from Kansas City he could mean anywhere in the area. For you folks looking in from the outside when you say Kansas City, you probably mean the one in Missouri. I don’t envy your problem- where I am you have to drive at least 5 hours to ever touch another state! Chris, you’ve summed up the State divide very well! Sorry to be so late getting back, ladies. Lani- The fun part is remembering the differences between each state’s real estate laws. Rebekah – You would know! Well I certainly wouldn’t want to live there, it all sounds very confusing. Thanks for trying to clear it up though. im from kansas city kansas and it really is no big deal. there is a divide but its not a betrayal to go to the other side. its just whether or not you cross a river. really would want to…HaHa). You certainly put a new spin on a subject that’s been discussed for years. Excellent stuff, just excellent! May I ask questions? As you said, the Kansas city actually are two cities, so they have two mayors, two city governments, right? Yes. 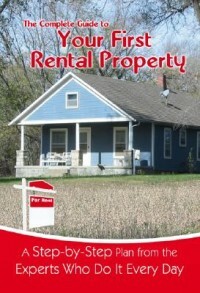 And two very different sets of landlord/tenant laws. thus I simply use internet for that reason, and take the newest information.